December 19th, 2015. At the first day of Jump Festa 2016, figure studio MegaHouse has debuted an unpainted prototype of an upcoming Beelzebumon Blast Mode figure, featured alongside his Child form Impmon. Labeled as the "Digimon Tamers Beelzebumon Blast Mode" figure, no concrete release date nor expected price has been set on it as of yet. 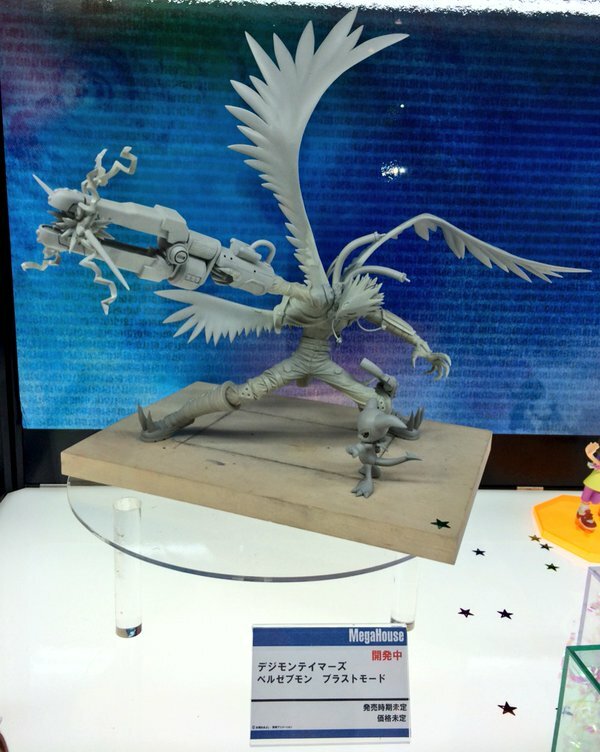 MegaHouse also showed a Digimon Adventure Ishida Yamato & Garurumon figure as part of their G.E.M. Series at the event. Blast Mode has been a breakout character in the Digimon franchise since his introduction in Tamers; most recently he will be featured as one of two exclusive downloadable evolutions in the international localization of Digimon Story Cyber Sleuth.